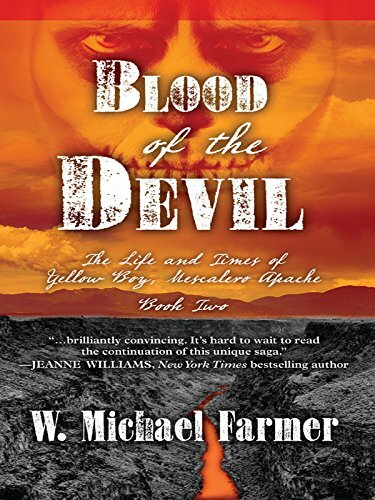 Blood of the Devil, the Life and Times of Yellow Boy, Mescalero Apache, Book Two, W. Michael Farmer, Five Star, $25.95, Hardcover. 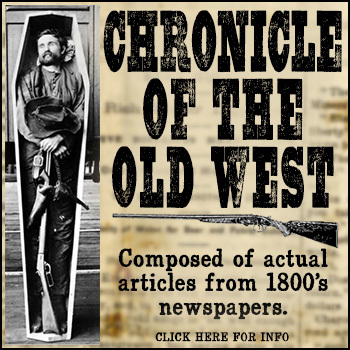 This story is the second in a series telling about the adventures of a Mescalero Apache named Yellow Boy. The first book in the series was titled Killer of Witches, and was reviewed in this column previously. Readers will remember an exciting adventure story filled with original detail about the lifestyle of Mescalero Apache. 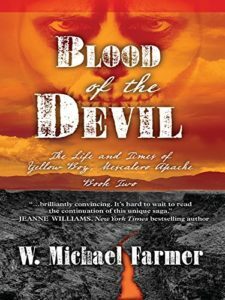 Author Michael Farmer has done his research, and combined with exciting story-telling, he keeps readers turning pages faster than Yellow Boy’s speeding bullets. In Killer of Witches, Yellow Boy was out to avenge the deaths of his beloved family members murdered by a cruel and vicious killer traveling with a band of raiders. Known as a witch named “Blood of the Devil”, this hideous, tattooed creature raped, pillaged and plundered innocent Mexicans and Apaches alike in an effort to make money selling their scalps. While he was at it, he took captive women and children to sell as slaves south of the border. After all the fighting, running and tracking, the witch ultimately escaped leaving readers looking forward to this second book in the series. We want to find out if Yellow Boy is successful in his determination to wipe out this plague. While the plot is sometimes predictable, (good vs. evil) readers are intrigued by the vivid descriptions of Apache lifestyle and customs. Author Farmer lived for 15 years in southwestern New Mexico and has a keen sense of how the Mescaleros lived, carefully describing the landscape, as well as plant and animal life encountered in that region. These stories are a history lesson as well as offering beautifully described New Mexico and northern Mexico. While Yellow Boy in this story is still on the trail of the witch, he works for a while as a tribal policeman, spends time with his wife and family on the reservation, and periodically visits his old white man pal, Rufus Pike. 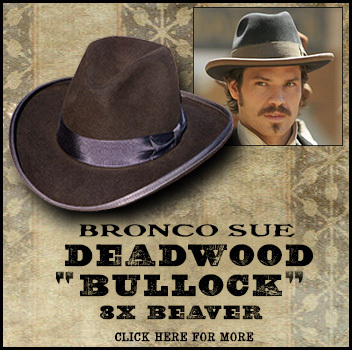 He also signs on as a scout with General Crook in Crook’s campaign to capture Geronimo. The actual campaign is seen here through the eyes of a scout, and gives us a unique perspective about that true adventure. All of these characters are well described and come to life with their unique personalities. 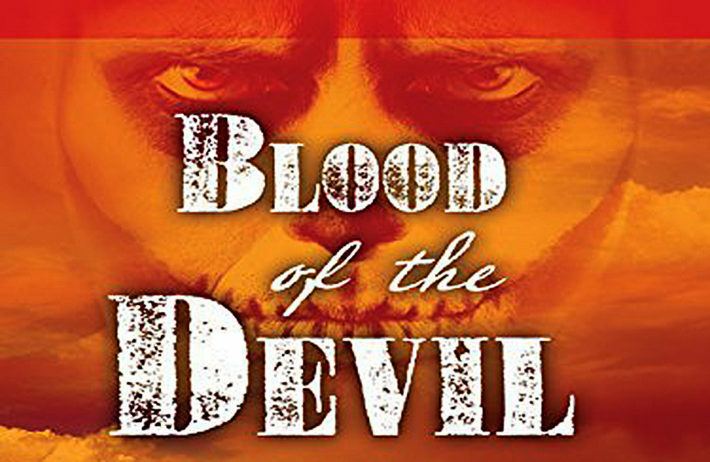 After the Geronimo campaign, Yellow Boy eventually tangles with his old nemeses “Blood of the Devil” in a fight to the death confrontation. They meet along the banks of a river where the witch is marching his latest band of captives from an Opata village. These poor people are frightened, bedraggled and weary. We can only imagine their joy when somebody comes to their rescue. During this story, Yellow Boy is forced to make familial decisions after the death of his beloved little daughter from pneumonia on the reservation. He is talked into taking a second wife, at the urging of his first wife, of all people. It is interesting to see how these relationships unfold. Arriving at the end of the story, we see Yellow Boy’s next adventure brewing over a dream he has predicting he would rescue a small white boy. One day, while watching from a secure location in the hills, Yellow Boy sees a wagon traveling down the road carrying a man and a small boy. Waiting in ambush are several men obviously bent on murder and mayhem. The door is now opened to Yellow Boy’s next adventure. This Yellow Boy Mescalero Apache series is fun to read, as well as filled with carefully researched historical information. 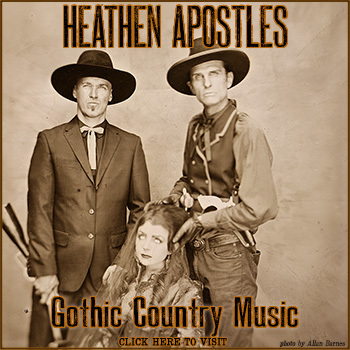 Editor’s Note: Reviewer Phyllis Morreale-de la Garza is the author of numerous books about the Old West, including the novel Hell Horse Winter of the Apache Kid, published by Silk Label Books, P.O. Box 700, Unionville, New York 10988-0700. www.silklabelbooks.com.